We love the concept of 'kids helping kids' and will do everything we can to help support this 'helping hand' movement. We believe it is imperative that we give students the opportunity to become caring, sharing adults and will do whatever we can to help this happen. If you are a teacher, a student, a teaching assistant, a parent, a governor, an admin worker, a caretaker then you can help! We have developed a specialised Schools Fundraising Pack which gives a comprehensive guide to how we can encourage our children to cultivate empathy, compassion and perspective, qualities that are not necessarily explicitly taught but are learnt through experience and opportunities created by our amazing parents and educators. 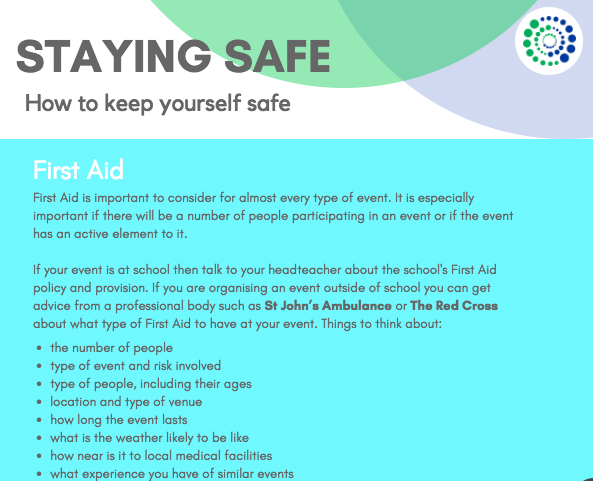 Here you can download the full guide, poster templates, sponsorship forms, safety advice and so forth to help organise and structure the students' efforts. One of our favourite (and most fun!) ways that schools can help us to fundraise is to organise a 'Non Uniform Day' - one day when all students can wear their own clothes! You could even get creative and decide on a theme, with prizes too! Every student simply pays a small amount (£1 or equivalent) for the fun and hey presto, you have raised money to help under privileged children in another part of the world! Much more on this can be found in the Fundraising Pack and in the extra guide below. If for any reason you cannot access any of the documents, please contact us and we will make sure you can. And remember, if you wish to use our images or our 'in aid of logo' then please email us and we will gladly send them through to you. There are quite literally hundreds of ways you can help us to fundraise and every penny really does count - we mean it when we say no amount is too little! From sky dives to sponsored jives, from fun runs to baked buns - choose your passion and make it happen! Lots of people think fundraising is too time consuming, or needs lots of organisation - but it doesn't have to at all! It can be as simple and small scale as you like! Here is a quick A-Z of just a few ideas to spark your own - remember, choose something you love to do! A - Auction of Promises : Visit local businesses and ask them to donate their services for you to auction off. Or rope in your friends, who could promise to wash cars, mow lawns or do housework for the highest bidder. B - Barn Dance : Sweet talk a farmer into lending you his barn and then organise a night crammed full of dosy doeing. Encourage everyone to wear checked shirts and denim! Charge per ticket and organise a collection part way through the night. Alternatively, hire or blag your local community centre/ church hall. C - Craft Coffee Morning : Get those scissors, glitter, glue guns and ribbons at the ready and get crafting! You could make cards, gift tags, crochet, stitch - anything goes. You could keep it small amongst friends with coffee and cakes, or add a glass of bubbly to really add a sparkle! Sell the gifts made at a craft fair, or even organise a craft fair yourself. D - Dance-a-thon : If dance is your thing then shake it off to your favourite style - tap, salsa, ballroom, jazz, disco, hip hop... It could be a sponsored event where you are sponsored for every 10 minutes, or you could organise a dance show if you have friends who share your love of all things boogie! Why not host a 'Strictly Come Dancing Party'? Or maybe a local dance teacher would agree to teach a dance lesson where you learn some of the classic moves and everyone donates to take part and don their dancing shoes? E - Easter Egg Hunt : Charge parents to take their kids off their hands for a afternoon - plan an Easter egg/ sweet hunt in the garden to keep them amused. F - Football Match or Sports Tournament : Ask your local team to play a match in aid of the charity. Organise a raffle at half time and get prizes donated by local businesses. Alternatively, organise a match pitting your mates against their dads and older relatives, or your colleagues against one another. Ask each player to pay a fee to play and buy a small cup for the winning team. G - Garden Party : Whip up some cucumber sandwiches, dust off the picnic tables and crack open some Pimms. Charge a small entrance fee and organise a collection during the fundraising event. H - Hour of Pay : Ask as many colleagues as you can to join you in donating an hour of their pay to the charity.. maybe you can promise them cookies and coffee during that hour as an incentive? I - International Dinner Party : Hold an international themed dinner party - cook themed meals, have themed table decorations and wear appropriate clothing. You could even turn it into a 'Come Dine With Me' event whereby each host takes turns to cook and host an activity to raise money on their night. At the end you can see how much you have raised together! J - Jumble sale : Dig around under the bed and at the back of wardrobes for anything you can sell and organise a jumble sale. Get your friends to get in on the act selling their own unwanted items too. Everyone loves a bargain! K - Karaoke night : Rent a karaoke machine and hold an event in your local pub, college bar, or bedroom. Sell tickets, or make it a competition and charge people to enter. Ask a local company to donate a prize - great publicity for them and they can feature it as part of their social responsibility duty! L - Letter Party : Pick a letter, any letter... and host a party where everyone has to come as something beginning with that letter. 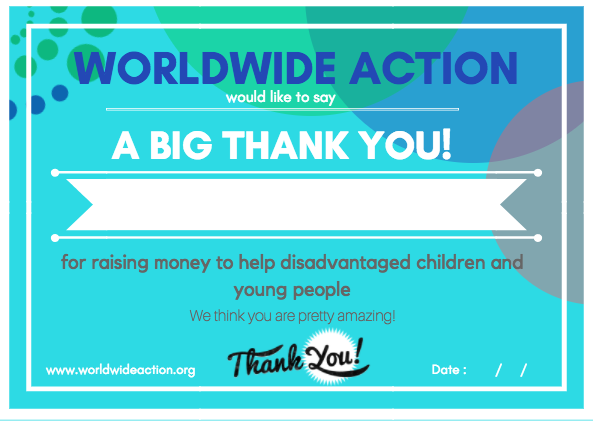 It could be the first letter of your name, or the could choose a W or A to reflect the charity! Collect a donation on the door and throw in a small raffle during the night to help boost your fundraising. N - Name the...... : baby, teddy, company mascot, doll, conference room... Make a list of 100 names, charge people to choose a name and give a small cash prize for the correct guess. Ask around if you can put the photo up in your local coffee shop etc , with a moneybox and list of names. O - Odd Job Day : Lawn-mowing, DIY, carrying shopping, walking dogs... offer your services in the neighbourhood - no job too small. Dress in a superhero costume to get noticed. P - Photo Competition : Ask a local camera-shop to donate a prize - good publicity for them! Each person pays a small amount to enter. It's a great idea to choose a theme - maybe black and white shots of the local community (the local paper might feature you!) or give the competition a name related to the charity such as 'Action Heroes Don't Always Wear Capes' or 'Survive and Thrive' so it is open to interpretation! Perhaps there would be a local photographer who would be happy to be the judge - you could even organise an exhibition and invite people to view the images to boost your fundraising. Q - Quiz : Quizzes are very popular and hence a good way to make money. Pubs are the usual venue, but you could also hold one at a local college, at a day centre for older people, or in a town or village hall. Ask your most charismatic friend to be quiz master and come up with ways to boost fundraising, such as prize bonus rounds for an extra £1! R - Races : Be imaginative - think sack-races, baby races, electric wheelchair races, stilletto races... charge people for entry and get a local company to donate a prize. S - Sponsored.... anything!! : You can get sponsored to do pretty much anything, so think creatively. Be sponsored per minute, per mile, per metre! T - Tombola : This would work best at a fete or special event. You don't need anything fancy - just put the tickets in a box and shake well. Get local businesses and family friends to donate prizes. Everyone loves to take a chance on winning! U - Unwanted gift sale : We all have them... so put them to good use! Get your friends and family to donate their unwanted Christmas gifts in early January and organise a sale... just try not to upset anyone! V - Valentines Day : A brilliant opportunity to sell handmade cards and gifts to the romantics out there! Why not host a speed dating night? Or a lock and key night? Alternatively, for those who prefer a more cynical approach to such days - an anti-Valentine party! W - Wine tasting : Hold a wine-tasting evening. Connect with a local wine merchant, or ask a supermarket or off-license to donate a few bottles for the tasting, and sell bottles for them at the end (for a small profit). X - Xmas (bit of a cheat!) : 'Tis the season to raise money! Get out the mistletoe for a big Christmas party, or sell home-made gifts, cards or tags at a Christmas fair. For those thespians out there, why not write a short pantomime featuring local in jokes and gags? Hold a Christmas Jumper Party! Organise a Santa Dash Run. Hold a Christmas Bake Off! You name it, it can be done! Y - Yoga : Ask a local teacher to hold a free session and ask for donations on the door. Or, get sponsored to do yoga for a day. You'll be so bendy by the end of it that you can charge people to watch you tie yourself in knots. Bonus. Z - Zumba-thon : There's nothing like shaking off a long week in a Zumba class! So why not do it, but do it for 3 or 4 hours?! Getting fit, having fun and raising money! Win, win and win. To really go for the fun factor, add in a 'dress code' - glitter, neon, pyjamas - think outside the box! Once you have an idea then get started! Tell your friends and family, tell us and take action! We have images and logos that we can share with you to help you publicise your event, and we can even feature you on our social media pages too! Get in touch - we would LOVE to hear from you!